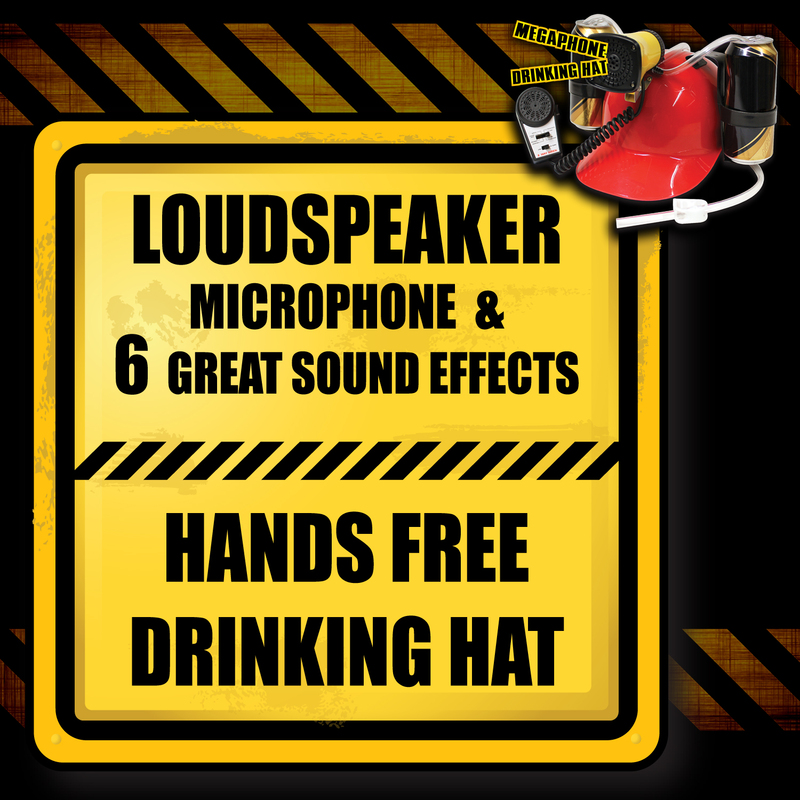 Hold onto your ‘hard hats’ boys! 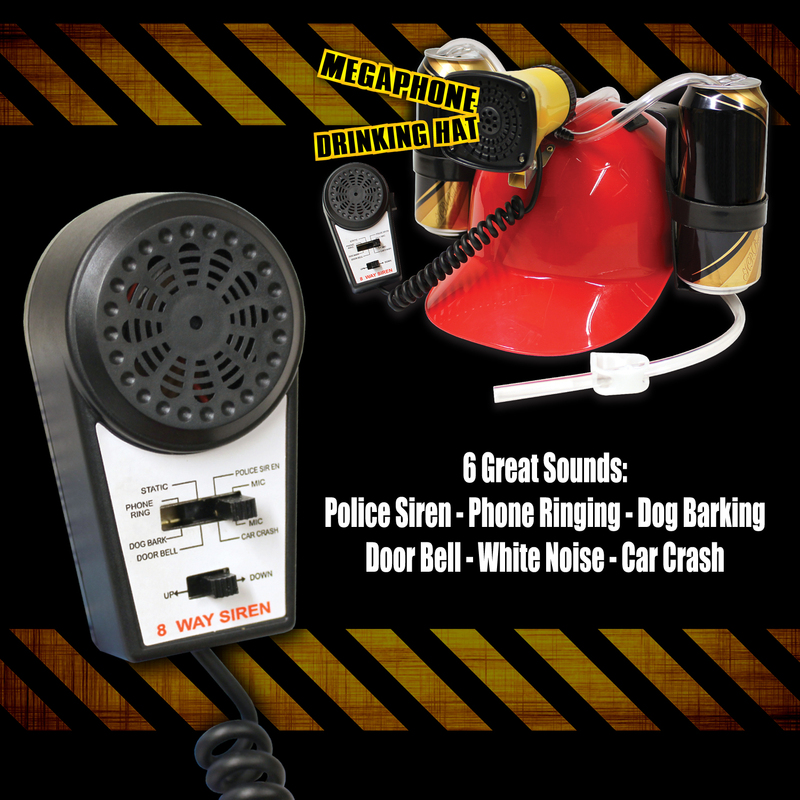 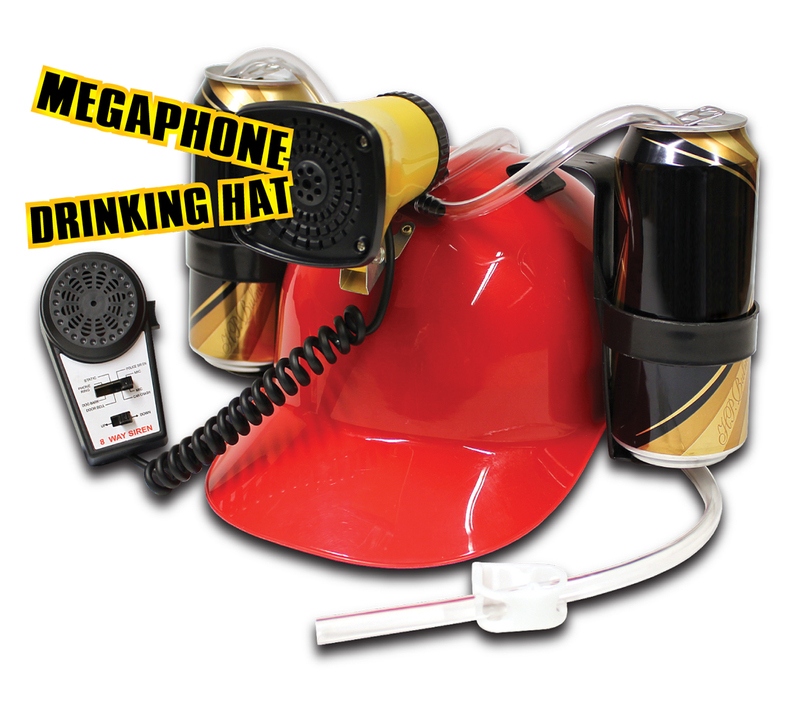 this is a total ‘hands free’ drinking experience – and when the beers run out grab the microphone attached and sound the alarm…….literally! 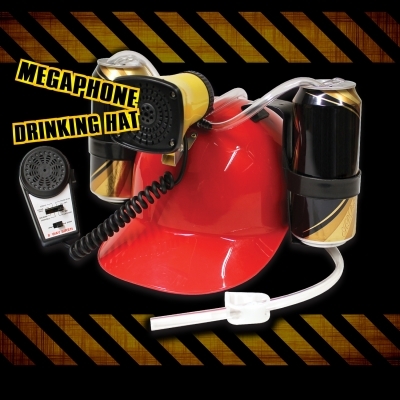 This hat comes complete with 6 sounds – Police Siren, Phone Ringing, Dog Barking, White Noise and Car Crash – or simply use the megaphone to shout your beer order through. 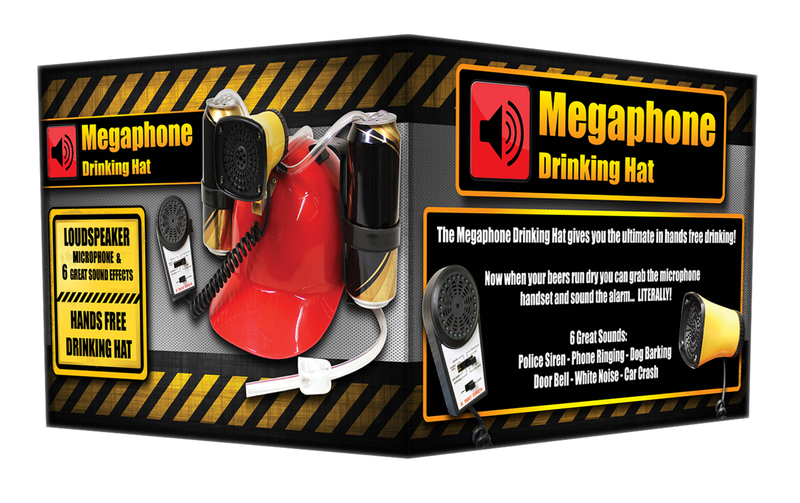 A great laugh for the lads on Stag Parties, at Sporting Events or a Boys Night Out! 9v Battery Required but not supplied.